It will be springtime before we know it and with that comes spring cleaning, home repairs, and renovations. 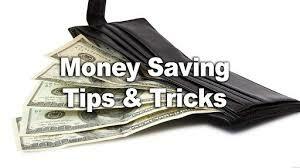 Here are some tips and tricks that will help you save money and start planning now. Make preventative repairs: There are a lot of easy little DIY projects that you can do right now to help save you money in the long run. Projects like replacing insulation or fixing cracks will not only make your home safer and more efficient but will save you from having to make big repairs if something breaks down the road. Little preventative repairs and maintenance is worth doing for the peace of mind, if for no other reason, it may save you from having to utilize restoration project management tools in the future should larger problems arise from not taking preventative measures. Shop locally: Turn to your community to help you out on repairs. If you need new cabinets, for example, ask around at local carpentry classes in schools, community centers, or even a local prison to see if you can hire them to build what you need (you won’t be paying much more than the cost of materials that way, you just have to plan far enough ahead to give them plenty of time to get to your project). Bartering and trading with local stores, carpenters, and contractors is also a great way to save money and support local business. Go green: Choosing energy efficient home repairs or appliances might cost a little more upfront, but over time you’ll make your money back and then some with the money you’ll save on energy bills. You can even get tax credits for making your home energy efficient. Rent your tools: Rather than buying a tools that you’re probably only going to use once, rent the tools you plan on using and only buy the ones that you know you’ll get a lot of use out of. Plan ahead: Now is the perfect time to start bargain hunting and collecting new furniture, fixtures, and building materials. Buying little parts in bulk online, perusing thrift stores and rummage sales, or looking for going out of business sales that home improvement stores, furniture stores, or even private contractors are having are all way better than buying things new at full price. Also, don’t hesitate to ask stores about buying a display model if they’re otherwise sold out because they can often give you a discount on it. If you give yourself enough time to bargain hunt and do the projects yourself, you can save a lot of money.